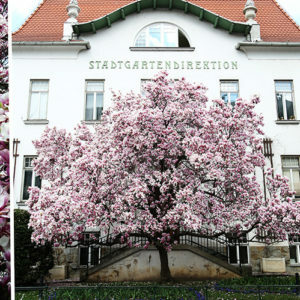 Blossom fans should also take a look at our post about magnolia trees in Vienna. Disclaimer – please bear in mind, that we are no botanical experts. What we are saying here is the result of pure observation throughout the years. And also we checked the dates when we took all the mentioned blossom shots, so the information are reliable. Cherry blossom time in Vienna starts usually mid March. How long do they last depends on many factors, mostly weather conditions. Our friend Dusan, Master Engineer of Horticulture (so yes, a true expert! ), once explained us that the warmer the weather, the sooner the blossoms bloom. Blossoms are (sadly) to be replaced by leaves. So as soon as you see more leaves appearing around the blossoms, hurry up with your shootings. If you wait too long, the blossoms will eventually fall off. 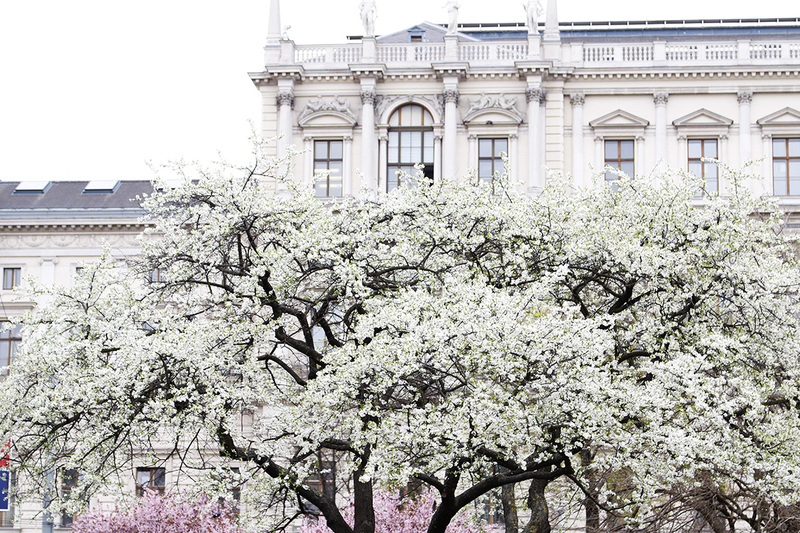 The good thing is that cherry blossoms in Vienna bloom at different times. So you might get lucky to capture them, no matter when you visit. As long as that is between mid March and mid April. After that, it is hard to find them. But you will for sure encounter some other flowers, there are indeed many of them around the city. We will also address that topic in some of the upcoming posts. 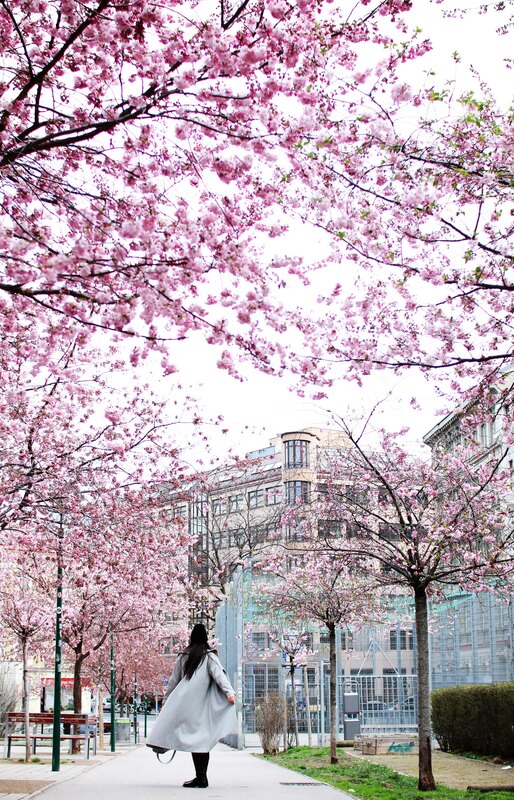 Where to find cherry blossom in Vienna? Obviously, they can be encountered all over the city, but in order to help you, we will share some locations that we visited so far. 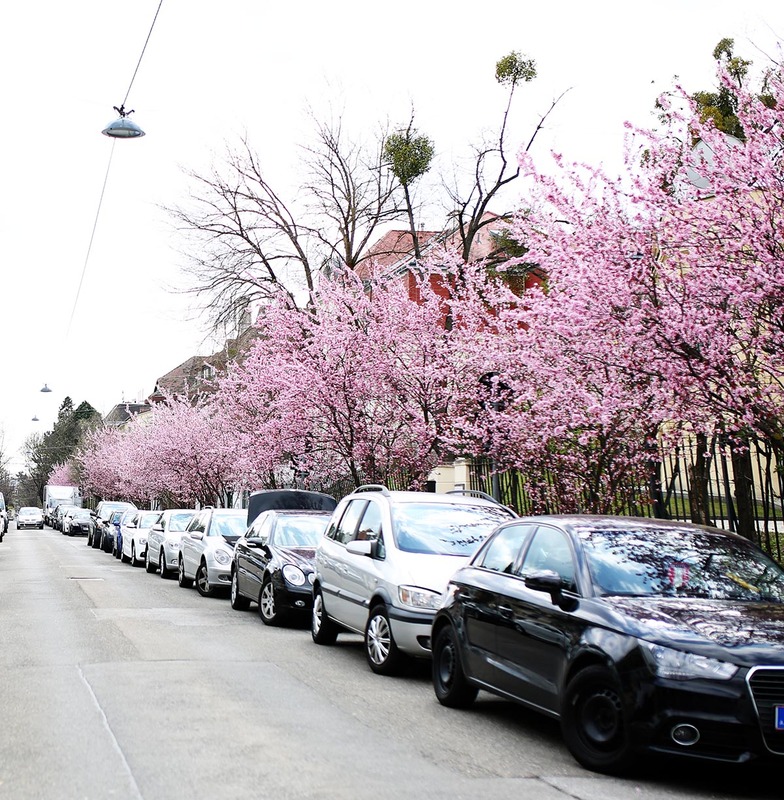 Hofmühlgasse in the 6th district is probably the first one cherry tree lane in Vienna that blossoms! The blossoms appear already second week of March. Check more infos and pictures in our post here. 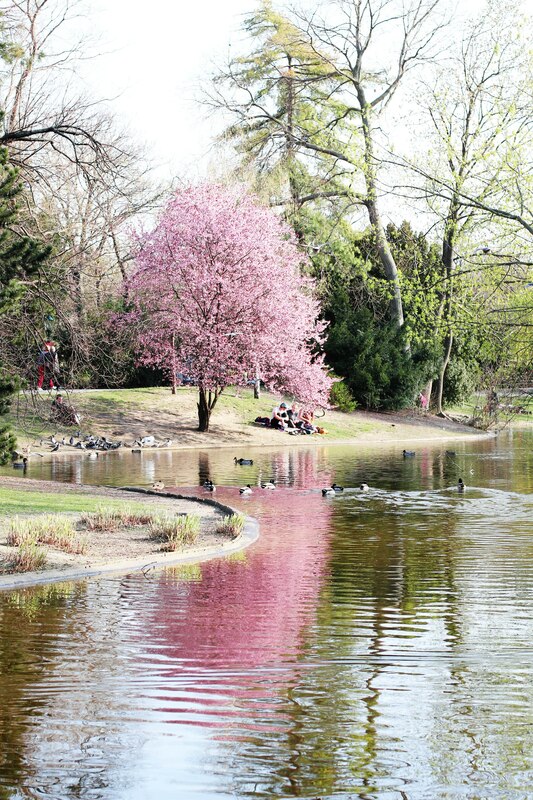 Stadtpark also has many cherry blossom trees of different sorts. This is also very close to the historic city center, so if you are in Vienna as a tourist, this place might be the most practical to check out. Full bloom is third and last week of March. Hainburger Weg in the third district is by far our favorite cherry tree lane in Vienna. Just look at the size of those blossom trees! Genuine Sakura trees, with an ultimate Japan vibe. For more information and pictures of this gorgeous street and detailed info how to get there, check our post here. When it comes to these blossoms, they are usually the very last to bloom. So we would say first week of April should be the full bloom and they last around two weeks. If you head there now, you will see them already! University of Vienna and Sigmund Freud park – there is one very nice cherry blossom tree right at the tram stop Schottentor, as well as a couple of magical white blossom trees in the park in front of the Votive church. Besides here are pink cherry blossoms too, and even the most photographed Magnolia in Vienna. Best shooting time are last two weeks of March. 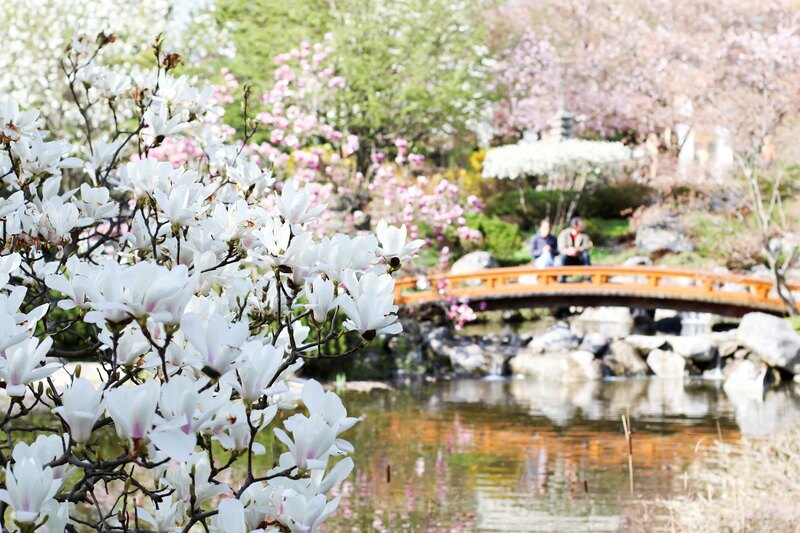 Setagaya Japanese garden – where else to expect blossom paradise, if not in the Japanese garden. We wrote about Setagaya park here and also read our most popular post about Setagaya here. It is a bit further away from the city center, in the 19th district, but it is definitely worth visiting this piece of Japan in the middle of Vienna. The best time to shoot here (in our opinion) is last week of March – first week of April. Then you can capture both cherry blossom and magnolias. 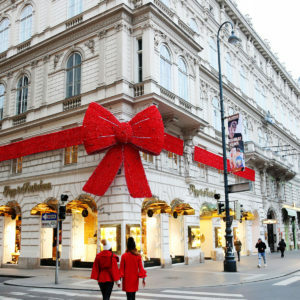 If Rapunzel would stay in Vienna, we are sure she would live exactly here. 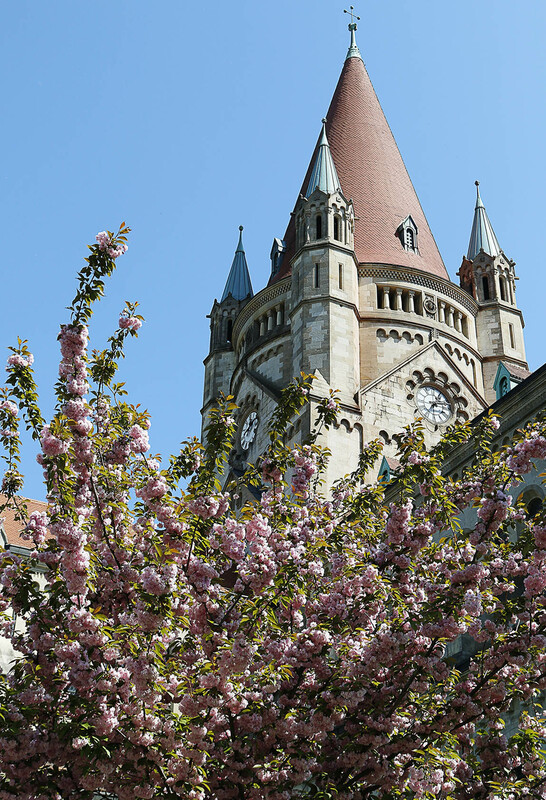 Just look at this church at Mexikoplatz… It looks like a romantic castle, surrounded by cherry blossom. We discovered this place thanks to lovely Octalita and blogged about it here. And now look closely to the picture below. You see how many leaves there are, mixed with the blossoms? This is because these photos were taken when the blossoms were almost gone and replaced by leaves. From our observation, we would say this is the same case as Hainburger Weg, so late cherry blossoms, that bloom end of March – start of April and last until mid April. 7. In the little park in front of uni BOKU (Gregor-Mendel-Straße 33, 1180 Wien, Austria) in the 18th district is this gorgeous white blossom tree. Many of you asked me on Instagram, where it is, so there you go! In front of the uni there is also a gorgeous magnolia, and close by is Turkenschanzpark, where you will find more blossoming trees, so there you go a reason to visit this park! 8. Around Doebling – as I already mentioned in a blog post about magnolias in Vienna, there are many blossoms around this gorgeous district. Magnolias are leading, but then again there are cherry blossoms too. Such as for example in Blaasstrasse. There is an embassy at the corner of this street however, so be considerate when taking pictures, not to capture the building, because photographing embassies is often prohibited. Keep an eye on the signs to avoid potential unpleasant situations. 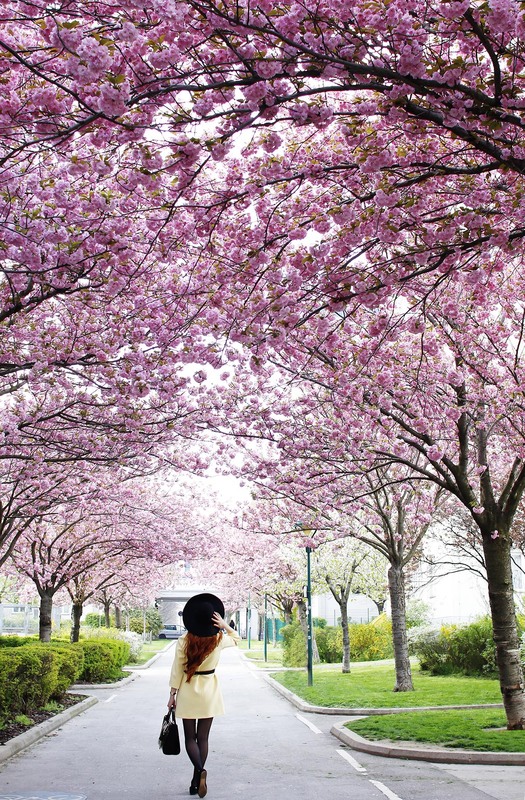 Also we strongly advise you to check two great blog post about the most instagrammable blossom trees in Vienna, that Irina wrote. Irina discovered many new cool trees, that we haven’t photographed before. But this year hopefully, we will make it! 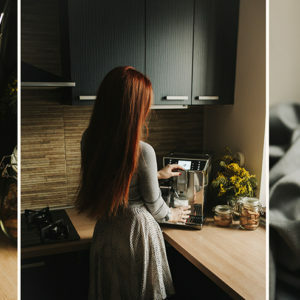 So part one of Irina’s post is here and part two here. Beautiful pictures! 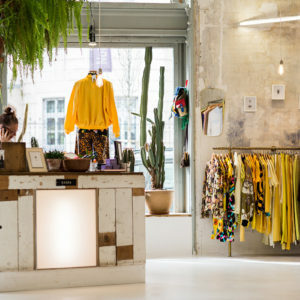 I recently moved to Vienna and love discovering new places, I’ll have to see some of your picks 🙂 Great blog!